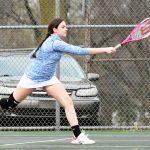 Girls Varsity Tennis · Apr 9 G TEN Match v. John Glenn Ppd. The girl’s tennis match scheduled for Monday April 9 v. John Glenn has been postponed. 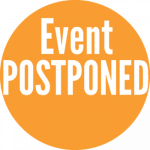 The rescheduled date will be Friday April 27, starting at 4:30 p.m. Practice will be from 4:30 to 6:30 p.m. All players should meet in library first. LAKEVILLE, IN. 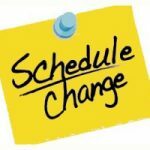 – The Girl’s Tennis match against South Bend Riley scheduled for Wednesday April 4 has been changed. The new date will be April 11. The match will begin at 4:30 p.m.
LAKEVILLE, IN. 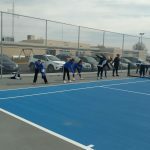 – The 2018 edition of LaVille Girl’s Tennis is smiling from ear-to-ear. Coach Melissa Haisley and the Lancers are enjoying six new courts. “It was Amazing,” said Haisley as she watched her squad take to the courts for the first time this season. “Honestly, I don’t know how to put it into words. 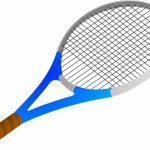 There is a call-out meeting for any girls grades 7-12 interested in playing tennis, on Wednesday, November 15th right after school in the library.